PROFIBUS is a messaging protocol designed specifically for high speed input-output communications in automated industrial applications. 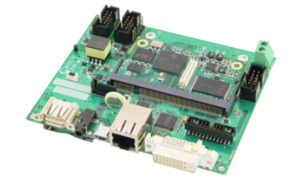 For applications deploying PROFIBUS messaging that require a general purpose embedded CPU providing multiple hardware interfaces, as well as rich user interfaces, Critical Link offers the MityDSP-L138. 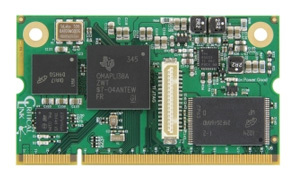 These are System on Modules (SOMs) based on the TI Integra OMAP-L138 ARM + DSP processors. 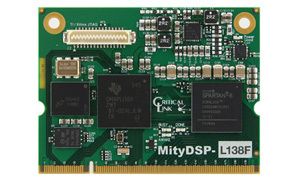 The MityDSP-L138 is used primarily by small form-factor applications that may or may not require digital signal processing. PROFIBUS differs from other automated controllers in that all equipment connected to the system communicates through a common bus. This bus is bi-directional, allowing both commands to individual devices on the bus and return information. Individual devices are given addresses, insuring they ignore all commands except those directed at them. The overall system is self-diagnosing, including diagnosing and reporting connection problems. There are several PROFIBUS variants, including PROFIBUS DP (Decentralized Peripherals) used for factory automation, and. PROFIBUS PA (Process Automation), used for process-level instrumentation.